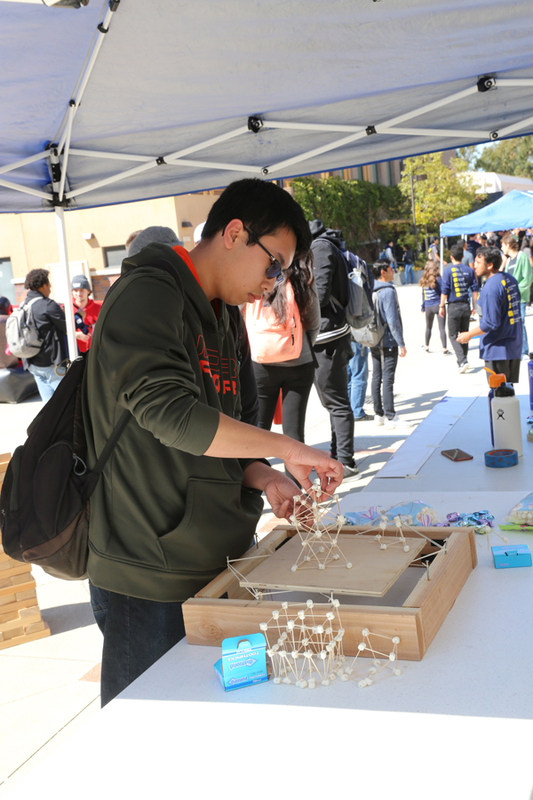 March 19, 2019 - More than 1,070 students lined up on day one of 2019 E-Week (Feb. 25- March 1) to claim their Samueli School T-shirts and check out the booths and activities hosted by various engineering student organizations during the Kick-off Fair. 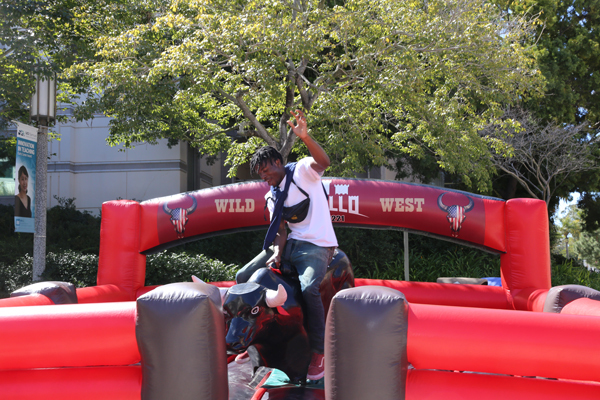 For $3 a ride, students took a turn atop a mechanical bull. 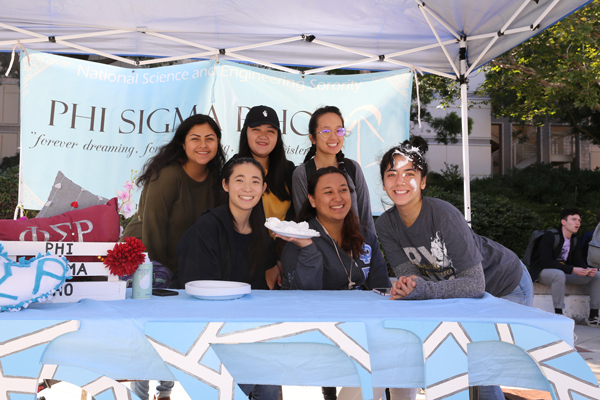 They built and tested toothpick and marshmallow structures on a shake table and threw shaving cream pies at the president of the National Science Engineering Sorority. They made ice cream in a plastic baggie, and played wacky wire and giant Jenga. A group learned dance moves for the annual lip dub. 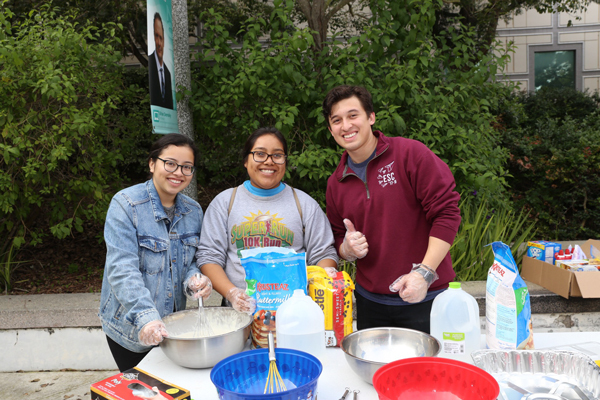 At the Society of Hispanic Professional Engineers table, students used paper and tape to build a boat, or “ship,” placed it in a tub of water and filled it with paper clips until it sank. 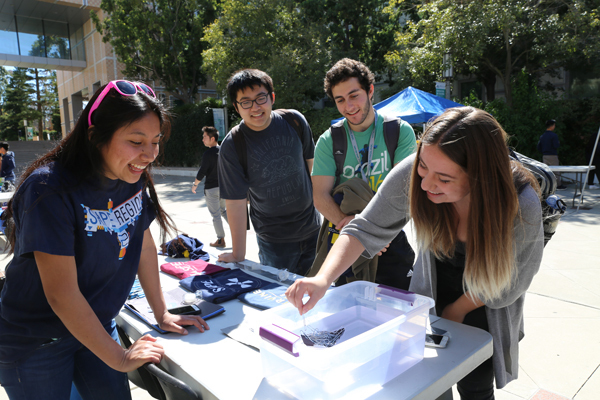 Gabriella Vass, a second-year physics major, was excited to watch her vessel, ”Relationship,” hold 85 paper clips. 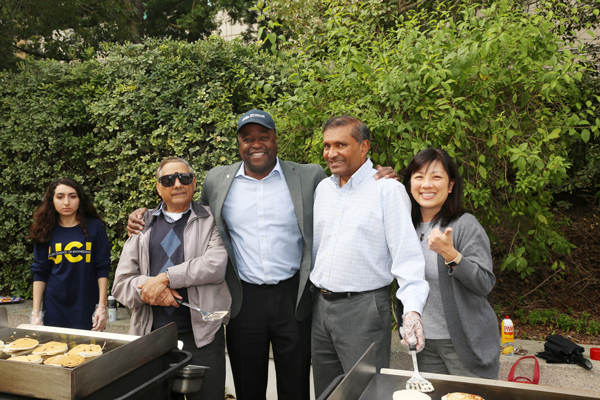 On E-Week day two, Samueli School Dean Gregory Washington and a few faculty and staff flipped pancakes for a breakfast spread that included bagels, pastries, fruit, breakfast bars and more. 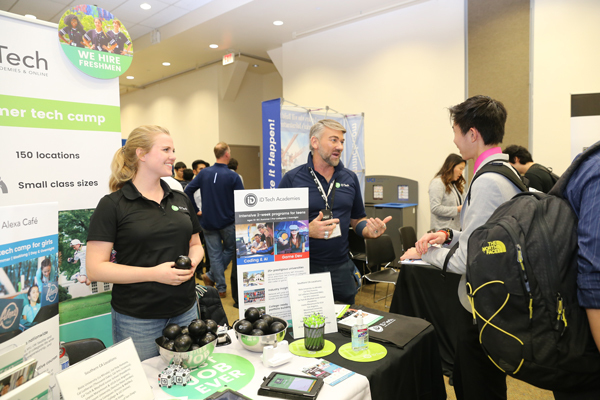 On Wednesday, EngiTECH drew about 450 students looking for internships, jobs and networking opportunities. 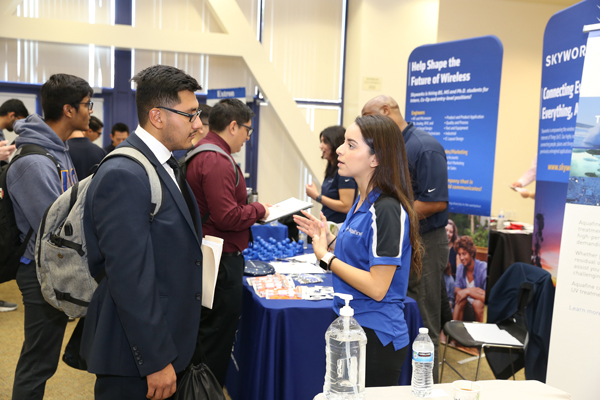 The career fair featured 26 businesses, with Yahoo as the gold sponsor. 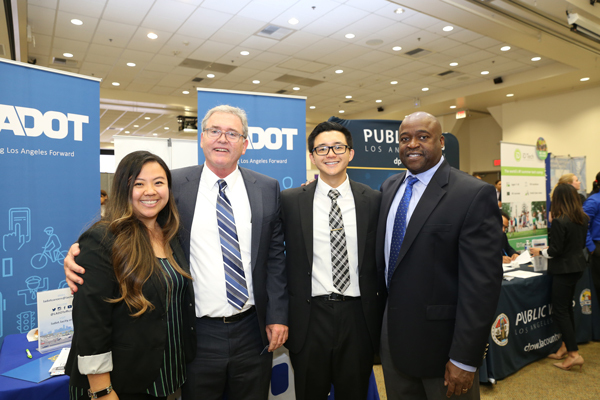 Washington stopped by to visit with some of the companies, finding quite a few alumni staffing the tables. 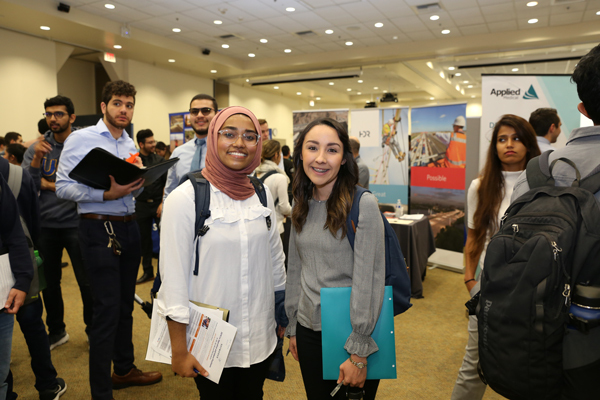 “I’m happy to see such a great turnout of employers and students,” he said. 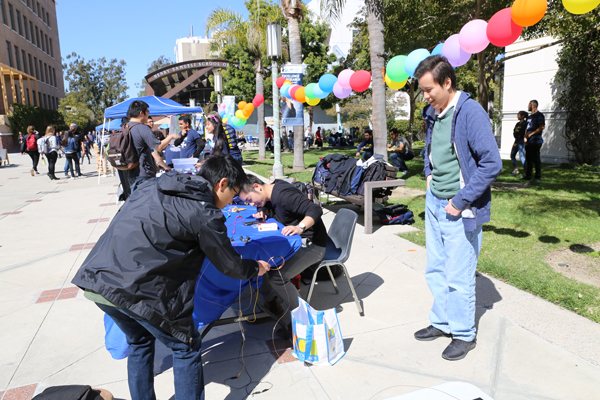 On Thursday, ESC served nearly 900 students, faculty and staff at a barbecue on Gateway Plaza, while over in the Student Center, about three dozen engineering students hosted 263 high school students for Shadow Day. 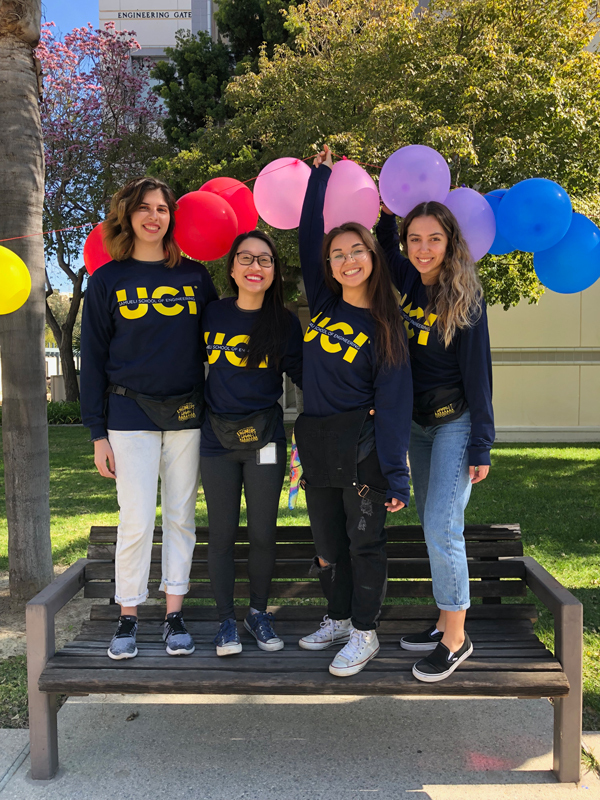 The Anteater engineers led the younger students in STEM activities, including a robotic claw, ghost bubbles, oil spill cleanup, strawberry DNA extraction, mechanical advantage in pulleys and bikes, and a shake table, with the day culminating in a catapult-building competition. 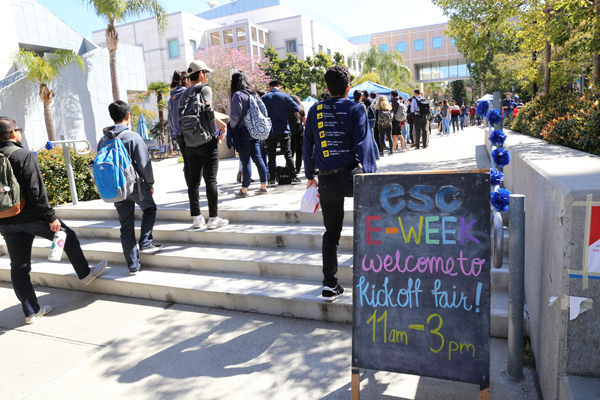 "This was my fourth and final year celebrating E-Week at UCI,” said Kimberly La, ESC president, “and it was truly the most fun E-Week I've ever had. 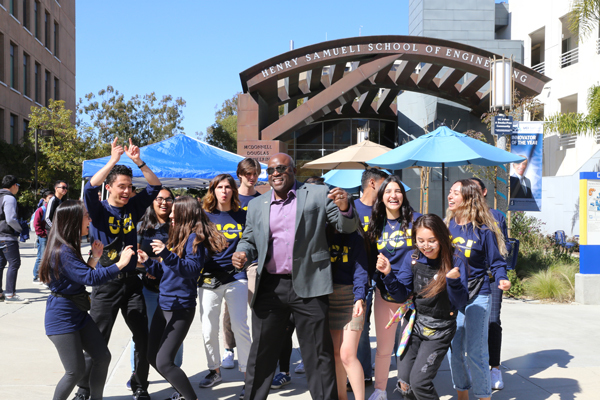 Lining up with other students at the photo booth for Kick-Off Fair, making pancakes with Dean Washington at the Dean's Breakfast, and watching my good friends win well-deserved awards at the banquet are just a few memories that I'll never forget. Most of all, I want to thank all engineering students, faculty and staff for enjoying this event that ESC poured our hearts into. 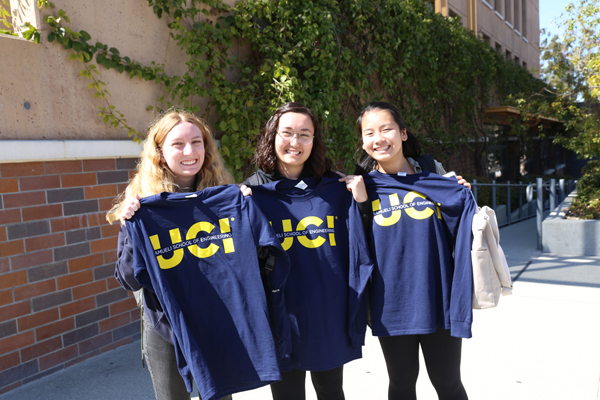 Speaking on behalf of all our members, we're incredibly proud to serve the UCI engineering community in this way." The weeklong festivities wrapped up with the Engineering Awards Banquet on Friday in the Student Center, recognizing outstanding students, faculty and engineering student organizations (see below). Best Outreach Program: SHPE Jr.